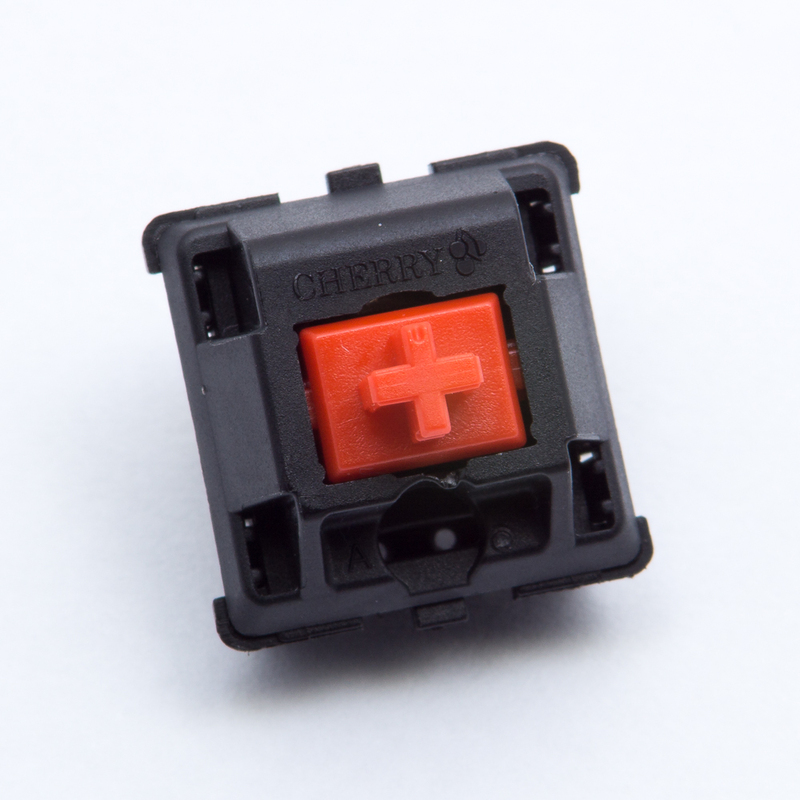 Cherry MX Red switches are, essentially, MX Blacks with a lighter spring. Plastic color and spring weight are the only notable differences between the two models. It is commonly said that MX Reds are best for gaming, as they lack a tactile bump, but individual preferences and higher activation points tend to have a larger impact in practice. Some contact and slider rasp is audible during slow keypresses, and exceptionally fast or hard typing can induce spring noise. A recent tooling change is said to reduce slider friction, but that has not been objectively verified.